Gamification of education is still evolving. It lacks systematic studies assessing its effect in different learning contexts. Creating gamified courses is still difficult, since there is a lack of sufficient understanding of how to gamify learning and appropriate software support is missing. As a response to these challenges, we developed OneUp ̶ a customizable platform aimed at facilitating the process of gamifying academic courses and enabling contextual studies on educational gamification. In this paper we rationalize our approach to building OneUp and present the underlying principles and motivations guiding its design. 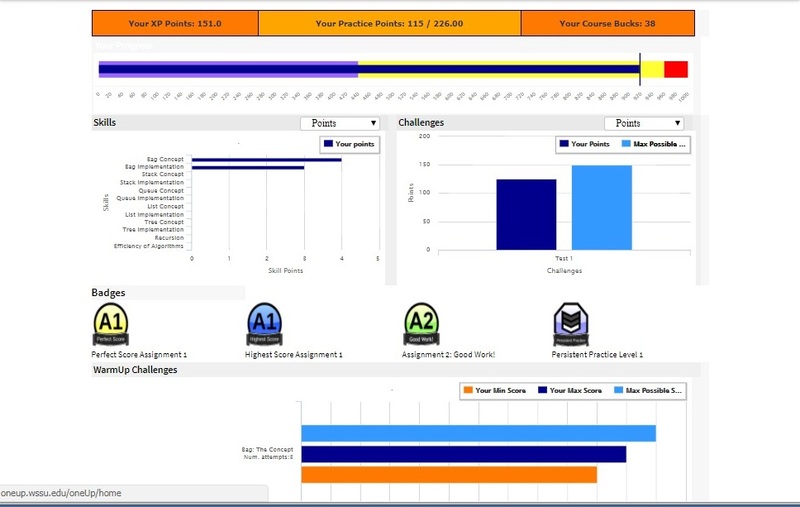 We also describe the platform functionality which includes support for integrating game design elements in learning activities, creating dynamic problems, and visualizing student performance and progress. At the end, we present a usability study of the platform and the assessment results from an end user perspective.